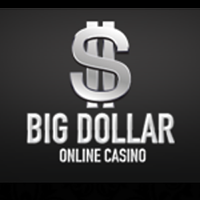 Check out loads of hot bonus offers at Big Dollar Casino this month. Enjoy excellent rewards with Happy Hour, the Cash Vault, the Bonus Drop, and the Bonus Accelerator. Happy Hour at Big Dollar Casino lasts for an incredible three hours each day. Get playing between 6am and 9am EDT and get 50 free spins. While the free spins are on the house, eligible players have made a deposit at Big Dollar Casino the day before. The free spins are not cumulative. If you want to enjoy this offer on any given day, make sure to log in at the right time. If you forgot to deposit funds the previous day, contact customer support. In some cases, they can give you a reduced number of free spins. There is a random prize draw at Big Dollar Casino every Thursday. With $10,000 in bonus money available, make sure you’re around. Do you want in on the Bonus Bonanza Drop? If so, simply deposit and play at Big Dollar Casino during the week, and you could be a winner. Make sure your contact details are up to date, and keep an eye on your email account. When you see an email with the subject “Bonu$ Bonanza Drop Now,” you’re a winner. Make sure to act fast because you have 10 hours to play your Bonus Drop prize. Once you see the email, the funds are already in your casino account. After 10 hours, any unused bonus funds simply disappear. If you did not get a Bonus Drop offer this week, you may get it next week. Keep playing your favorite casino games, and the VIP Team may spot you during the week. As with the Thursday Bonus Drop, the $10,000 Cash Vault promotional prizes last for just 10 hours. Check your email on Wednesdays in case an email with the “Vault Unlocks Now” subject line arrives. When you see the email, don’t waste any time. You have 10 hours to play your prize before your time is up, and the vault is locked. Make a $50 deposit at the casino each day for the daily Bonus Accelerator. Redeem this offer with the CROWD200 coupon code for slots and keno play. The Bonus Accelerator changes in size according to the number of claims. Last updated by Shannon on April 2, 2019 .